Mike Lawrie - DXC Technology chairman, president and CEO, rings the opening bell at the New York Stock Exchange. 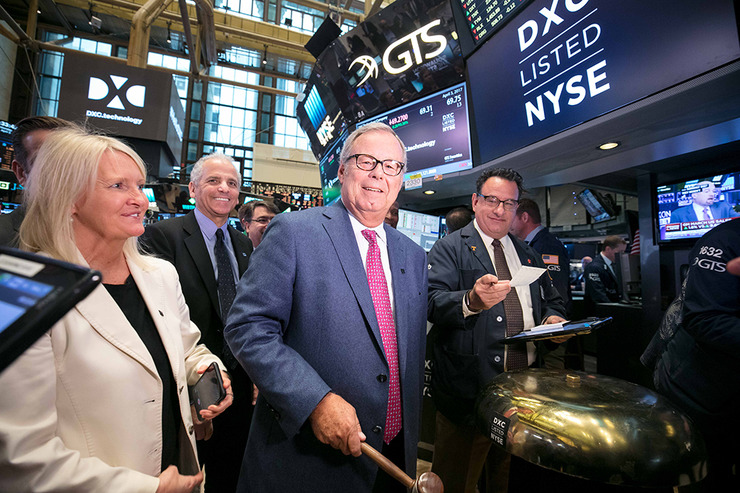 DXC Technology chairman, president and CEO, Mike Lawrie, rang the opening bell at the New York Stock Exchange on 3 April (United States east coast time), marking the beginning of the company’s journey under its new brand. The official launch and public listing of DXC Technology, the IT services entity resulting from the spin-merger of Hewlett Packard Enterprise’s (HPE) Enterprise Services business and Computer Sciences Corporation (CSC), comes after a lengthy lead up. The proposed merger of the two companies, valued at around $US8.5 billion, was announced on 24 May 2016, with HPE flagging the spin-off its Enterprise Services business to free it up to join forces with CSC. Billed as a “pure-play, global IT services powerhouse,” the new company is expected to see $US26 billion in annual revenues, and claim nearly 6,000 clients in over 70 countries - around half of which are based in the local market, with Australia and New Zealand claiming more than 3,000 DXC Technology partners, many from the company's UXC heritage. HPE officially spun-off its Enterprise Services division on 3 April (US time), suggesting that the spin-merge of its ES business “unlocks a stronger, more focused HPE, well positioned to compete and win in today’s rapidly changing market”. “As planned, HPE will now execute a clear and ambitious strategy based on three key pillars: First, making hybrid IT simple through secure, software-defined offerings that enable customers to move data seamlessly across their traditional data centers, private and public cloud environments,” the company said. Meanwhile, the new entity, DXC Technology, is setting its sights on flexing its newfound talent-base and extensive resources to engage with its combined roster of partners and clients locally and around the world. 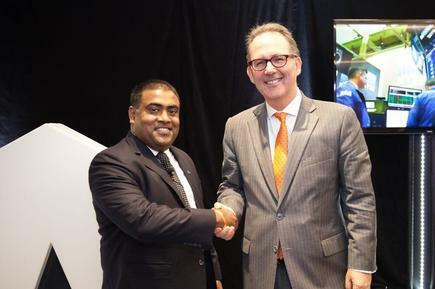 Seelan Nayagam - DXC Technology vice president and general manager for the A/NZ region, and Alister Henskens - New South Wales parliamentary secretary for finance, services and property. “Together with our partners, we help clients harness the power of innovation to create new business outcomes,” Lawrie said. 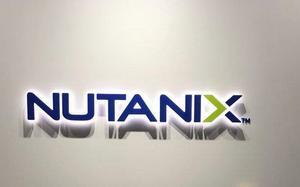 “Our technology independence, extensive partner network, and world-class talent are core differentiators. Read more Will Veeam complete a hat-trick of HPE acquisitions? “We begin the new chapter in our journey knowing that collectively we have met the challenges of innovation many times before, and with a clear and confident vision for navigating the future,” he said. DXC Technology has established more than 250 industry-leading global partner network relationships, including 14 strategic partners with brands such as Amazon Web Services, AT&T, Dell EMC, HCL, HPE, HP, IBM, Lenovo, Micro Focus, Microsoft, Oracle, PwC, SAP and ServiceNow. Locally, DXC Technology vice president (VP) and general manager for the A/NZ region, Seelan Nayagam, has talked up the new combined entity’s figures. “[DXC is globally the largest independent IT services firm,” Seelan said at a launch event in Sydney on 4 April. 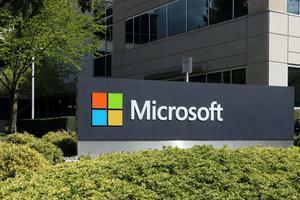 “It has 170,000 people, $25 billion in revenue, and 6,000 clients globally. “For this marketplace in A/NZ, it’s unique, we’re actually the number one provider in this market. “Our partner ecosystem plays a critical part. We work with our partners to co-create solutions and the outcomes our partners are looking for,” he said.